For Home or Business, Call 1-800-344-4418 Toll Free! Create the perfect “mosquito free” zone! 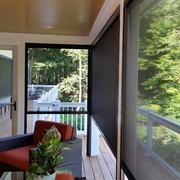 The NuImage FlexShade Zip is the perfect solution for porches, patios and windows where retractable, wind resistant solar or insect control is desired. The elegant, fully enclosed cassette and side retention channels keep the screen fabric secure and taut for perfect view and years of unmatched performance. 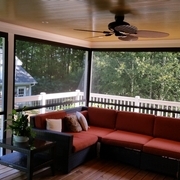 All aluminum powder coated extrusions, and top quality US and European made solar and insect screen fabrics make this US made system the perfect choice. 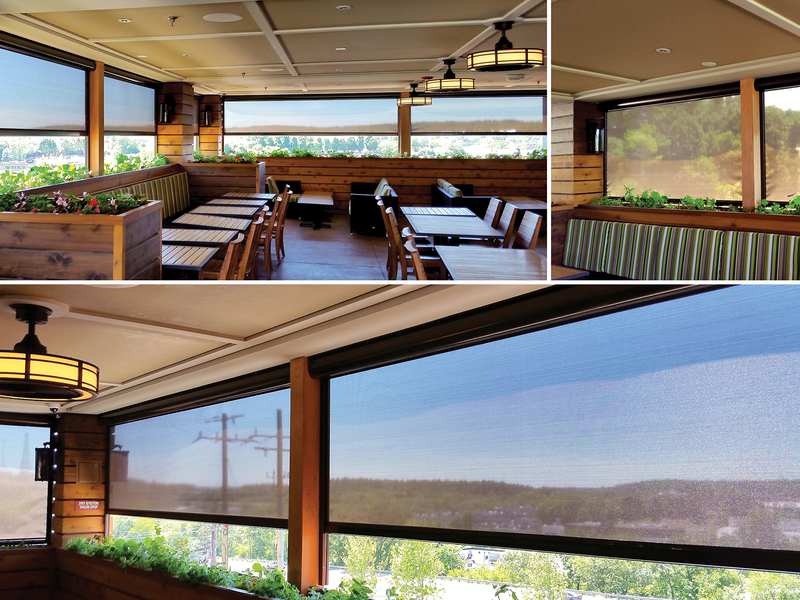 An installation example of six NuImage Pro FlexShade ZIP motorized solar screens on a restaurant patio outdoor patio exposed to significant wind and the setting western sun, which limited its use and patron comfort. 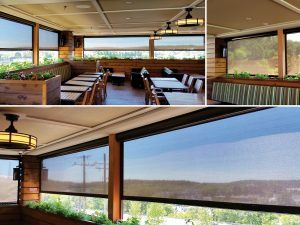 NuImage Pro’s FlexShade ZIP solar screens successfully solved both problems using Mermet Satine solar screen with a 5% openness factor. 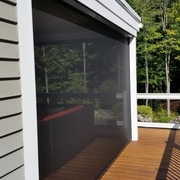 The motorized screens can be rolled all the way down or stopped when partially down, allowing for the desired amount of breeze and sun.